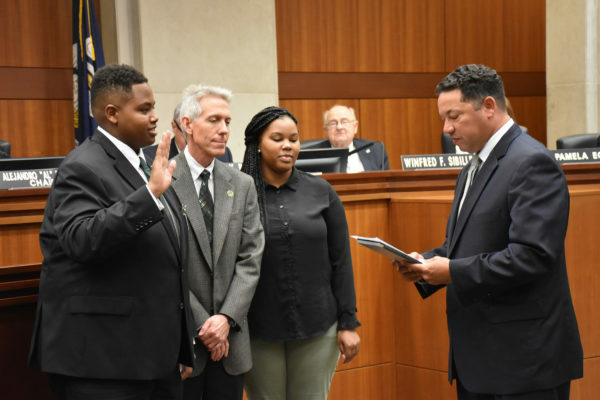 Southeastern Louisiana University Student Government Association President Richard Davis was sworn in as this year’s student member of the Board of Supervisors for the University of Louisiana System. 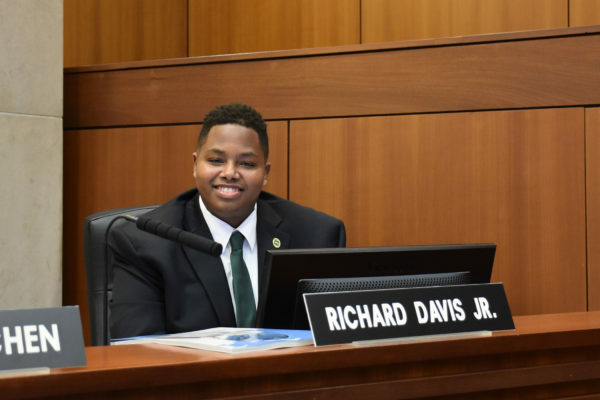 Davis is a senior studying middle school education. 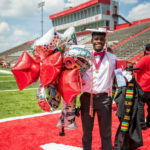 The National Collegiate Athletic Association recently released its annual report on the academic progress rates (APR) of all NCAA Division I teams, including UL System universities. The UL System athletic programs performed well overall. Of our nine member institutions’ 120 teams, only three fell below the threshold. Teams calculate APRs based on the eligibility, retention and graduation of each scholarship student athlete. Teams not meeting the requirements face possible consequences of practice reductions and restrictions on postseason competition. Rates are calculated using the past four years’ performances. 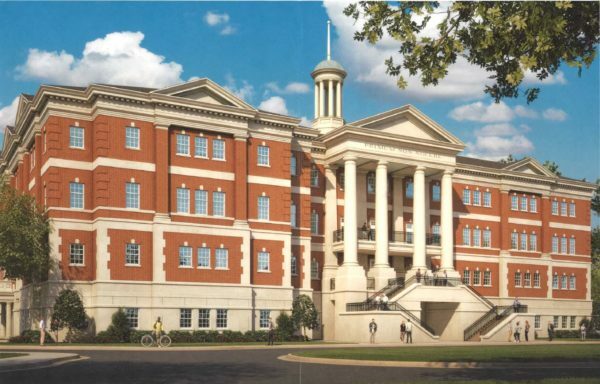 Today the Board of Supervisors for the University of Louisiana System approved the execution of a lease agreement for the University of Louisiana Monroe to move forward with building a medical school on its campus. 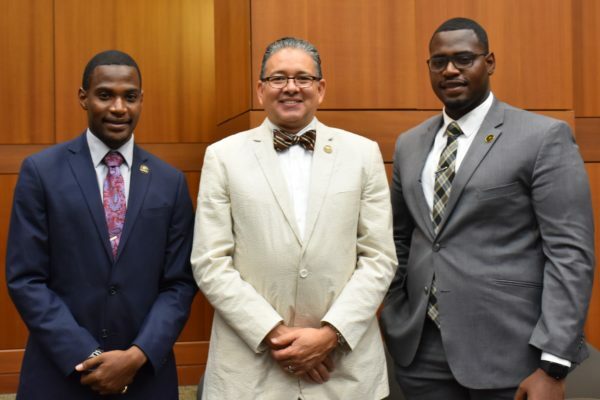 The Edward Via College of Osteopathic Medicine in Virginia has partnered with ULM to create the school in northeast Louisiana to address the Delta region’s extreme shortage of healthcare professionals. 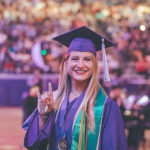 VCOM must earn accreditation before the first class of students are expected to enter the Doctor of Osteopathic Medicine program in 2021. VCOM will join the three existing medical schools in Louisiana. 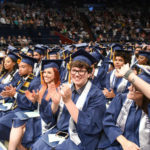 More than 8,560 students graduated from the Universities of Louisiana this spring. 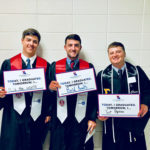 Both Louisiana Tech University and the University of Louisiana at Monroe celebrated their largest-ever graduating classes. The rest of the photos from today’s board meeting can be found on the University of Louisiana System Facebook page. Click here to access the photo album directly. Grambling: approval to enter into a Memorandum of Understanding with the Society for Financial Education and Professional Development, Inc. (SFE&PD). 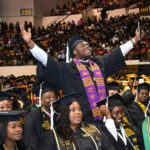 Grambling: approval of a 3+3 Articulation Agreement with Logan University. 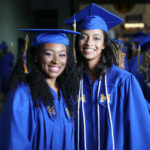 McNeese: approval of a Letter of Intent to Develop a New Academic Program leading to a Bachelor of Science in Mechanical Engineering. McNeese: approval to enter into a Memorandum of Understanding with the Calcasieu Parish School Board. McNeese: approval to enter into an agreement with Southwest Louisiana Charter Academy Foundation. 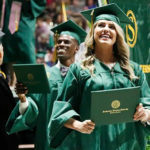 Southeastern: approval of a Proposal for a Master of Science in Child Life. UL Lafayette: approval to terminate the academic degree program in Dietetics. 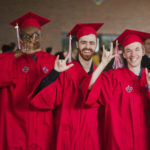 UL Lafayette: approval of a Proposal for a Master of Arts in Teaching (MAT) in Elementary Education with concentrations in Elementary Education and Elementary French Immersion. ULM: approval of a Proposal for a Doctor of Physical Therapy. UNO: approval of a Letter of Intent to Develop a New Academic Program leading to a Ph.D. in Justice Studies. UNO: approval to enter into a Memorandum of Understanding with Universidad Americana Managua, Nicaragua. UNO: approval of the Real Estate Research Center of Excellence. Grambling: approval of a contract with Mr. Broderick Lee Fobbs, Head Men’s Football Coach, effective July 1, 2018. LA Tech: approval of a contract with Mr. Matthew Aaron Terry, Head Men’s Golf Coach, effective August 1, 2017. McNeese: approval of a contract with Ms. Helena Besovic, Head Women’s Tennis Coach, effective July 1, 2018. McNeese: approval of a contract with Mr. Andrew A. Burk, Jr., Head Men’s Golf Coach, effective July 1, 2018. McNeese: approval of a contract with Mr. Andrew Fitzgerald, Head Women’s Soccer Coach, effective July 1, 2018. McNeese: approval of a contract with Ms. Ashleigh M. Fitzgerald, Head Women’s Volleyball Coach, effective July 1, 2018. McNeese: approval of a contract with Mr. Michael E. Fluty, Head Women’s Golf Coach, effective July 1, 2018. McNeese: approval of a contract with Mr. Brendon James Gilroy, Head Men/Women’s Track Coach, effective July 1, 2018. Nicholls: approval of a contract with Mr. James Austin Claunch, Head Men’s Basketball Coach, effective March 29, 2018. Northwestern: approval of a contract with Mr. Jared Myatt, Head Strength and Conditioning Coach, effective April 2, 2018. Northwestern: approval of an amendment to a contractual agreement with Mr. Mike McConathy, Head Men’s Basketball Coach, effective May 1, 2018. Southeastern: approval of a contract with Mr. Jason Hayes, Head Women’s Tennis Coach, effective June 1, 2018. Southeastern: approval of a contract with Mr. Jay Ladner, Head Men’s Basketball Coach, effective May 1, 2018. Southeastern: approval of a contract with Ms. Ayla Guzzardo, Head Women’s Basketball Coach, effective May 1, 2018. Southeastern: approval of a contract with Mr. Corey Mistretta, Track and Field Coach, effective April 29, 2018. Southeastern: approval of a contract with Mr. Richard Fremin, Head Softball Coach, effective June 1, 2018. UL Lafayette: approval of a contract with Mr. Michael Desormeaux, Assistant Football Coach, effective January 1, 2018. UL Lafayette: approval of a contract with Mr. Zaccheus Etheridge, Assistant Football Coach, effective January 21, 2018. UL Lafayette: approval of a contract with Mr. Mark Hocke, Head Strength and Conditioning Coach and Associate Head Football Coach, effective January 1, 2018. UL Lafayette: approval of a contract with Mr. Jabbar Juluke, Assistant Football Coach, effective January 1, 2018. UL Lafayette: approval of a contract with Mr. Timothy Leger, Assistant Football Coach, effective January 1, 2018. UL Lafayette: approval of a contract with Mr. David Looney, Jr., Assistant Football Coach, effective January 18, 2018. UL Lafayette: approval of a contract with Mr. Matthew Powledge, Assistant Football Coach, effective January 1, 2018. UL Lafayette: approval of a contract with Mr. Ron Roberts, Assistant Football Coach, effective January 19, 2018. UL Lafayette: approval of a contract with Mr. Robert Sale, Assistant Football Coach, effective January 1, 2018. UL Lafayette: approval of a contract with Mr. Rory Segrest, Assistant Football Coach, effective January 1, 2018. UL Lafayette: approval of a contract with Mr. Patrick Toney, Assistant Football Coach, effective January 3, 2018. UL Lafayette: approval of a contract with Mr. 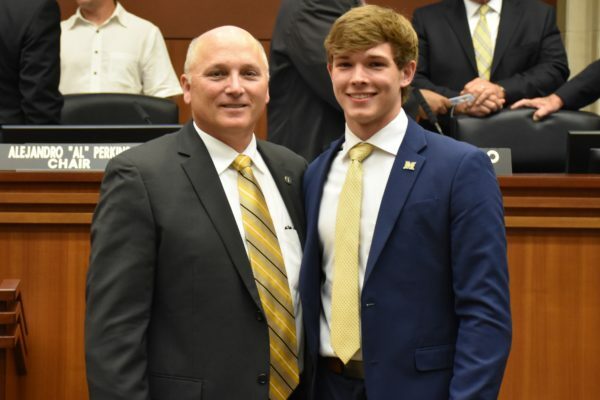 Troy Wingerter, Director of Football Operations, effective January 1, 2018. ULM: approval of a contract with Mr. J.D. Malone, Head Track and Field/Cross Country Coach, effective July 1, 2018. 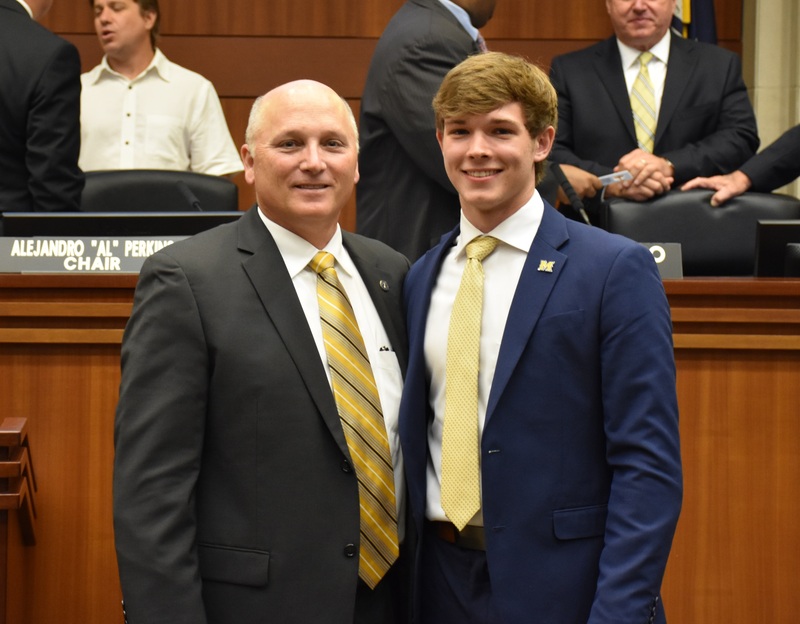 ULM: approval of amendments to the contractual agreement with Mr. Mathew Collins, Assistant Baseball Coach, effective May 23, 2018. ULM: approval of an amendment to the contractual agreement with Mr. Corey Lyon, Head Women’s Softball Coach, effective May 30, 2018. ULM: approval of a contract with Mr. Tim Baldwin, Head Golf Coach, effective July 1, 2018. UNO: approval of contractual amendments with Mr. Michael Blake Dean, Head Men’s Baseball Coach, effective July 1, 2018. LA Tech: approval to purchase a former drive-in bank and land site, on behalf of the University, from the Louisiana Tech University Foundation. Northwestern: approval to demolish the Lumber Storage Building located on the Natchitoches campus. ULM: approval to enter into a lease with the University of Louisiana at Monroe Foundation and University of Louisiana at Monroe Alumni Association for the Laird Weems Center upon purchase. 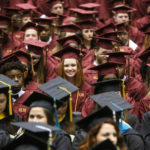 ULM: approval of the Board of Supervisors for the University of Louisiana System for the execution of supplements to the Ground and Buildings Lease Agreement and the Agreement to Lease with Option to Purchase between the Board, on behalf of the University, and the University of Louisiana at Monroe Facilities, Inc., in connection with the Brown Stadium and parking renovation project. ULM: approval of the Board of Supervisors for the University of Louisiana System for the execution of a Ground Lease Agreement between the Board, acting on behalf of the University, and the Harvey W. Peters Research Foundation, in connection with the construction of a medical school on the University’s campus. Grambling: approval of a Memorandum of Understanding and Non-Disclosure Agreement with CSRA, LLC. UL Lafayette: approval of an Affiliation Agreement and Funds Management Agreement with the University of Louisiana at Lafayette Foundation. UL System: approval of the Board Operations and System Universities’ Fiscal Year 2018-19 Internal Audit Plans. McNeese: approval to appoint Dr. Michael Buckles as Dean for the College of Liberal Arts effective August 1, 2018. McNeese: approval to appoint Dr. Cynthia Cano as Interim Dean for the College of Business effective July 1, 2018. Nicholls: approval to appoint Dr. Sue Westbrook as Provost and Vice President for Academic Affairs effective May 21, 2018. Northwestern: for approval to continue the appointment of Dr. Frances Conine as Interim Vice President for Student Experience effective July 1, 2018. UL Lafayette: approval to appoint Dr. Melinda Granger Oberleitner as Dean of the College of Nursing and Allied Health Professions effective June 1, 2018. UL Lafayette: approval to appoint Dr. Jaimie L. Hebert as Provost and Vice President for Academic Affairs effective July 1, 2018. ULM: approval to appoint Dr. John M. Pratte as Dean of the College of Arts, Education, and Sciences effective July 2, 2018. UNO: approval to appoint Dr. Carolyn Golz to Associate Vice President for Student Affairs and Dean of Students effective July 15, 2018.